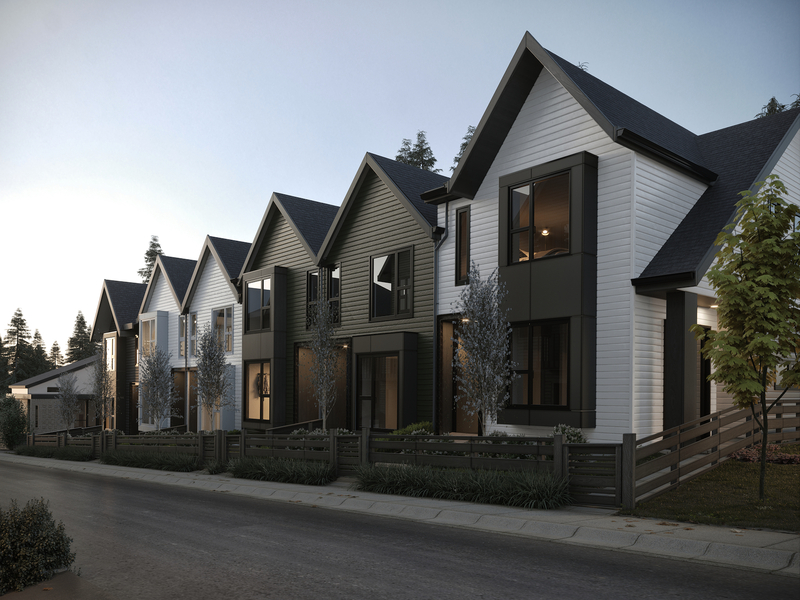 The newest addition to the Intracorp Townhome Collection is coming soon to a quiet hillside neighbourhood in Coquitlam. 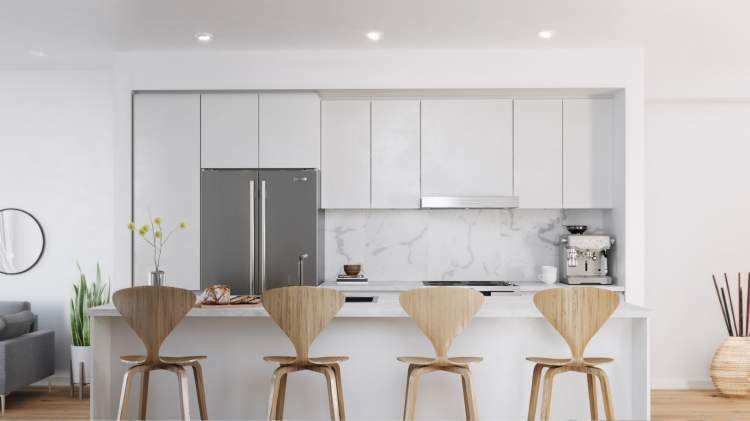 Inspired by Nordic simplicity, the two- and three-bedroom townhomes at Aalto are intimately connected to the natural landscape with tailored, modern design. The conveniences of an urban centre are just a few blocks away, while a private amenity building is yours to enjoy with friends and family. Less complexity, more simplicity – that’s life at Aalto. Starting in the high $800,000s for 3-bedroom homes of approximately 1,400 sq ft. There are two main common amenity areas at Aalto. A two-storey amenity building will offer a fully-equipped fitness studio, a games room with ping pong table, and a great room with kitchen, dining area, fireplace, and television. Outdoor amenities includes a children’s play area, an outdoor Scandinavian-inspired lounge with seating and fire pit, and a picnic area with tables and pergola. Private outdoor spaces, ranging from 252 – 300 sq ft per unit, are a combination of small yards or patios and upper decks. Some homes have family rooms. An internal pathway network connects residences to the common amenity spaces and to offsite trail and multi-use pathway connections. Resident private parking will be provided in tandem and double, side-by-side garages for a total of 121 vehicle stalls. Another 17 off-street stalls will be available for visitors. Intracorp is a fully-integrated development company with in-house expertise in design, financing, development, construction, marketing and sales. Established in Vancouver in 1977, Intracorp has developed highly successful residential communities throughout southern BC. These include The Versatile Building and Orizon on Third on the North Shore, MetroPlace and Silver in Metrotown, MC2 and Livingstone House on the Cambie Corridor, River Park Place in Richmond, The Jervis in the West End and the new Townhome collection set in extraordinary neighbourhoods. Established in 1989, Ramsay Worden Architects practices architecture and urban planning with a consistency of quality, care, and imagination. The firm has developed a reputation for innovative design focused on producing livable buildings with a human scale that respect the patterns and character of the community. Gannon Ross Designs believes that a successful project comes from a collaborative effort. The interior design firm works closely with clients and marketing teams to create innovative and cohesive designs for each and every project. Their friendly, flexible approach has created many successful relationships and projects in their 15-year history. Phase 1 is expected to be complete in Spring 2019.